Why Mac Freezes and How Can You Fix It? 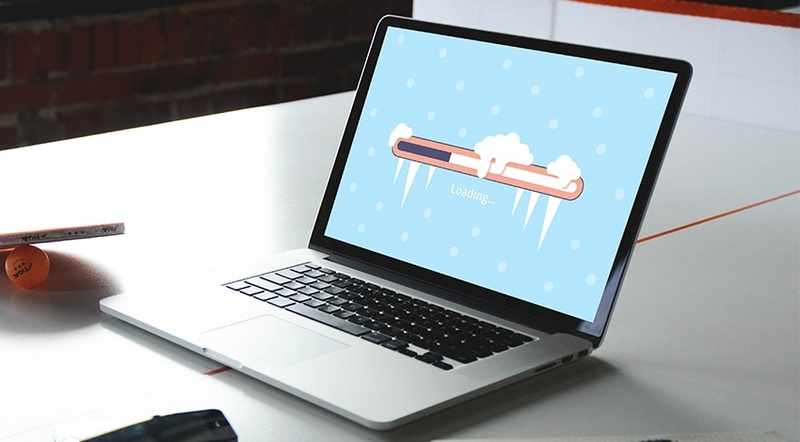 A freezing Mac is something that luckily doesn’t happen too often but still may occur. The reason for this uncool situation may be either a stuck app or problems with the entire MacOS. Slowdowns are always annoying, and knowing how to effectively deal with them is essential for every Apple computer owner. In this article, you will learn how to fix a Mac when it freezes. And here you may find an article about how to make a mac faster. First of all, you should detect whether it is a single app that caused the freeze or the issue is system-wide. The problem with an app happens when it’s stuck and keeps running in a ‘loop.’ In such circumstances, it takes up too much memory to function and causes the entire OS to freeze. The first sign would be an alert notification (similar to the image below) that will inform you of the app having quitted unexpectedly. On the other part, if the operating system locks up without sending an alert, the chances are that the problem is in the MacOS itself. Click ‘OK’ if you want to dismiss the alert. Note. Apple requests the crash reports to gather data that can help to improve the new versions of MacOS and let developers correct discovered bugs. If you don’t want to send default reports to Apple each time a crash happens, you can disable this function. Go to: System Preferences – Security & Privacy – Privacy panel in the upper menu, and untick “Send diagnostics and usage data to Apple” in the Diagnostics & Usage panel (as you may see in the image). After this change, any default notification will look similar to the image below, with Close, Report and Reopen options to choose from. There are two major reasons that may cause an app to freeze or even take down the entire OS. Too many processes and apps running at the same time. Not enough free space on the hard drive. Click anywhere outside of a frozen app. In the Dock, Right-Click/Control-Click the icon of the app. In a menu that appears, find Quit and hold the Option key on your keyboard down, wait till Quit changes to Force Quit. After this, the app should close almost instantly. Now you can re-launch the app and proceed with your work. In the case when the Dock is unresponsive itself, hit Option+Command+Esc on the keyboard simultaneously. Select the app that froze in the Force Quit dialog box, and the system will shut it down. In details, reasons why the entire OS freezes may vary, but the primary cause is almost always the lack of free space on the hard drive. Your Mac tends to use HDD/SSD space to expand virtual memory to run many processes at the same time, and it is hard for the OS to do that when no disk space is available. Also, sometimes system bugs and freezes may be caused by uninstalled updates of some apps. At the top left of the screen, open Apple menu and select Restart. Rebooting your Mac can fix the vast majority of issues. In case you can’t open the Apple menu, press Command – Control – Eject simultaneously. With this command, MacOS should restart instantly. If the method described above doesn’t work, press the Power button and hold it till your Mac switches off. Wait several minutes and power up the machine again. Run Apple Hardware Test to help detect the problems on your Mac. Try using Disk Utility Repair function to handle possible problems on your hard drive. Disconnect all plug-ins, update software you use them for and then re-attach one by one to see what may be causing the problem. Malware is another possible reason for your Mac encountering constant slow-downs. Check and brush out any malicious software from your MacOS. Now you know where to look for the problems that make your Mac freeze. With our guide, you might be able to handle this unpleasant situation.